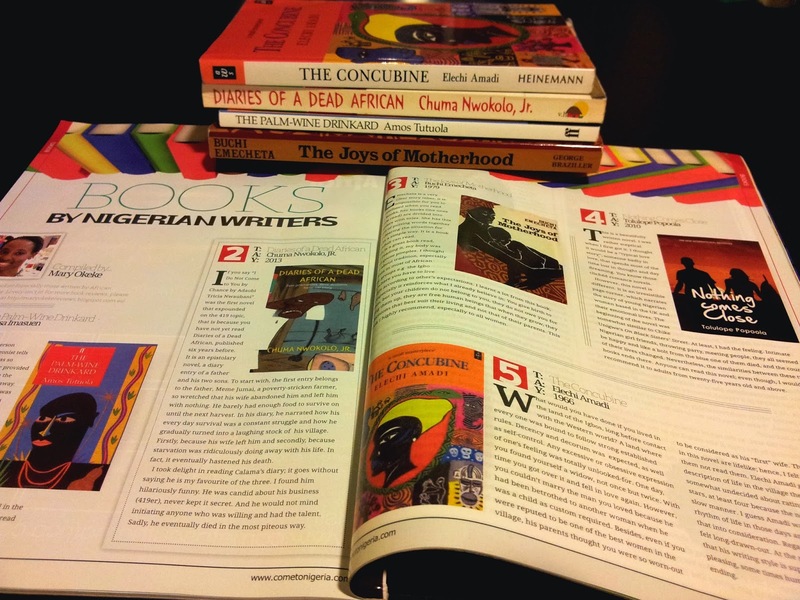 I am so grateful and more than excited for appearing on the pages of this edition of Come-to-Nigeria on the section of Books by Nigerian Writers compiled by (me) Mary Okeke. Interestingly, I also appeared as one of the Nigerian Web-preneurs. It fills my heart with joy to know that there are people out there who really enjoy and appreciate what I do. Thank you, thank you... That is all I can say. What an impressive magazine about the life and style of Nigeria. I was amazed by the natural beauty of the country illustrated on its pages. I did not know that such places existed, actually. This is a breath of fresh air, indeed. Nature at its finest. What can you expect from the magazine? 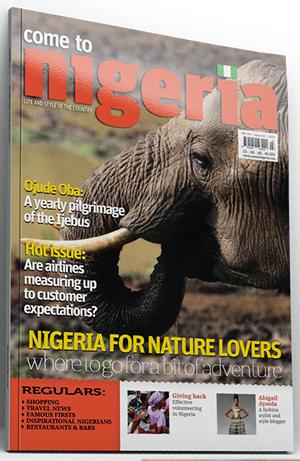 Travel images from Nigeria, nature tourism (National parks, biodiversity and wildlife), cultural festival, fashion, books and a lot more. Please click here to visit their website and click here for subscription. Also, don't forget to look out for it if you happen to find yourself in an airport. Thank you very much to the Editor-in-Chief and publisher Oladimeji Adisa for getting in touch with me and sending me a copy. I truly appreciate. You have worked too hard for it. Congratulations, Mary. Great news indeed! It absolutely is. Thanks a lot. This is wonderful news, Mary. Good for you! Debbie, I am so glad. Thanks. Congrats Mary. You deserve it and much more.